The apple cider vinegar is considered a magical ingredient for fast weight loss. I can say, however, that apple vinegar used for losing weight must be associated with a healthy lifestyle. If you’ve decided to change something to yourself, the benefits of apple vinegar for weight loss is just one step. This step should be accompanied by physical activity, whether moderate, giving up on pastries, sweets, sausages, fry food and replace it with a diet based on unsweetened whole grains, fruits with low glycemic index (not very sweet), lots of vegetables (half of each plate), yogurt and 100% natural dietary supplements to bring you the necessary vitamins. On a simple Google search, you will find quick weight loss tips on how to use apple cider vinegar, such as drinking vinegar in the morning on an empty stomach with a cup of water or taking a teaspoon before each meal – tips accompanied by the guarantee that you will have a rapid weight loss of up to 6 pounds in just two weeks. I’m not an adept of rapid weight loss, you probably know. One explanation is that vinegar can influence the brain’s perception of food. The truth is that everyone is losing weight in its rhythm. Just forget the thought of eating only fast food without physical activity in the hope that a cake with apple vinegar (if such exists) will save you from gaining weight. Apple vinegar can be added over salads if you don’t like to drink it on an empty stomach. The apple vinegar is promoted not only as a quick weight loss cure but also as a diet that changes metabolism. This belief that there is a wonder ingredient that changes metabolism quickly and forever causes many women to keep diets that do them more harm than good. Although apple vinegar does not do any harm, on the contrary, it is suitable for anyone in salads and foods, well it should be integrated into a healthy daily diet. It does not mean that you can eat much and unhealthy, that we can be sedentary and with perfect silhouette just thanks to the wonder vinegar. 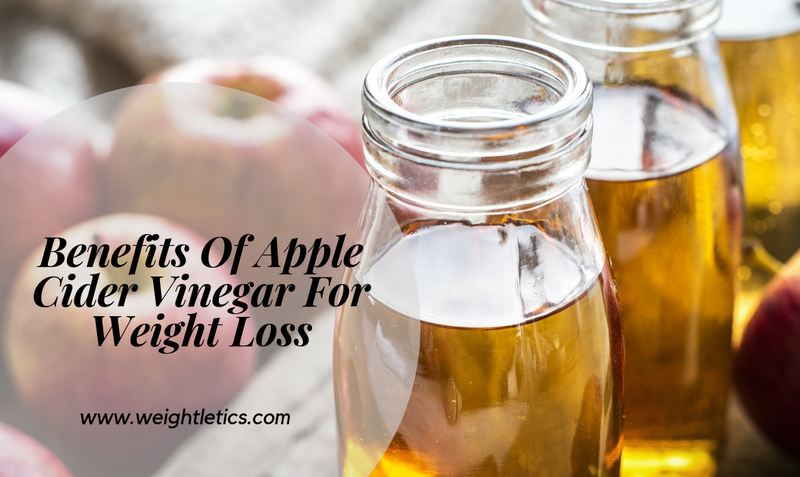 On the other hand, if you have made the decision of an active lifestyle based on healthy eating, apple vinegar can be a real help in effective weight loss! In the weight loss diets, the apple vinegar recommended consumption is of 1-3 teaspoons of vinegar before each meal. Apple vinegar is effective in fighting bacteria, lowers blood glucose, relieves hunger and has a high content in minerals and trace elements essential to health – potassium, calcium, magnesium, phosphorus, copper, iron, and fluorine. Apple vinegar – does it really help to lose weight quickly? 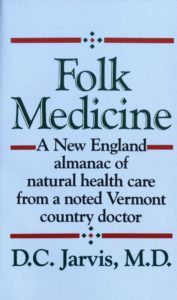 Dr. D.C. Jarvis wrote a book “Folks Medicine” in which he promoted apple vinegar as a real help for rapid weight loss. He argued that regular consumption of apple vinegar resulted in the burning of body fat. Others say that pectin from apple vinegar removes cholesterol from the body. Apple vinegar can be associated with salads as part of a complex and balanced diet. Do not add too much apple vinegar in salads to avoid stomach burns. Apple vinegar is a completely natural product when it is prepared by fermenting apple juice followed by a second fermentation of the vinegar itself. This product preserves all the nutritional properties specific to apples; besides, it is enhanced by additional acids and enzymes produced during the two stages of fermentation. It is exactly acetic acid that researchers attribute to their ability to burn fat efficiently (especially fat in the area of the belly). In addition, it slows digestion and absorption of carbohydrates. In order to benefit from all the properties of apple vinegar, it is recommended to purchase products that have a pH/acidity of 5-7. Add 2 tablespoons of apple vinegar in a glass of water. Consume the mixture throughout a day, not once! 1. Helps clean up the intestines. Apple vinegar contains acetic acid that helps prevent constipation, prevents accumulation of bacteria in the intestinal mucosa and relieves gas. It is very helpful if you have slow digestion or suffer from bloating. Therefore, apple vinegar helps eliminate substances that are unnecessary for the body. 2. It is rich in vitamin A. It helps to care for the skin, moisturizing it and giving it elasticity. 3. Due to its potassium content, apple vinegar is an excellent diuretic. 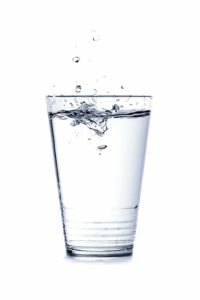 This mineral makes the blood more alkaline, which helps to fight dizziness, prevents water retention, improves cramps, etc. 4. As it cleanses the digestive system, it makes us feel lighter, and the body works better. Apple vinegar is a remedy especially for diseases requiring antibiotic treatment. • Prevents renal lithiasis and urinary tract infections. How to use it to treat other affections? You saw the benefits of using apple cider vinegar and let’s see how to use it in other treatments apart from weight loss. I know it’s not nice and pleasant to talk about, but hey, we are humans 🙂 Even halitosis have a remedy with apple cider vinegar due to the acid content. Directions: In a glass, prepare a mixture of equal parts of vinegar and water. Make gargle for 10-20 seconds 2-3 times after each toothbrush. Apple vinegar helps eliminate the unpleasant odor of the body because it reduces the pH of the skin, and the bacteria do not survive on a low pH surface. Apple vinegar is effective in relieving or treating eczema, warts, sunburns, and stains with age. Apple vinegar treatment consists of eliminating bacteria, balancing the pH of the skin and absorbing excess sebum. Directions: Prepare a mixture of 3 parts of water and one part of apple vinegar. Clean the complexion, then use a cleansing disc to wipe the skin with the prepared solution. Leave to act for 10 minutes and then rinse with warm water. Repeat treatment 3 times a day. If the patient suffers from common acne, the mixture is prepared from equal parts of water and vinegar and is used during the night without requiring rinsing. Due to the sulfur content, apple vinegar fights against the effects of aging. The onion is finely cut, then placed in a strainer/filter, where a piece of cloth has been placed beforehand, and the juice is extracted. Prepare a mixture of equal parts of onion juice and apple vinegar. Apply the mixture to the problem areas, let it act for at least 30 minutes, then rinse with warm water. The remedy should be followed once a day for six weeks, and the results will not stop appearing! Advice! To speed up the stain treatment, consume daily for one month, a cup of water to which you added three teaspoons of vinegar. If the vinegar is too strong, add a teaspoon of honey. Yes, some are fighting it cellulite, but again apple vinegar is here to help. In a glass of water add 2 tablespoons of apple vinegar; Optionally, you can also add a teaspoon of honey or sweetener. Consume your daily meal! Mix 3 parts apple vinegar with a massage oil part. Problem areas will be masked twice a day with the formed solution. Apple vinegar does not cause side effects if used moderately and with caution. Regular consumption of vinegar leads to damage to dental enamel; which contributes to yellowing the teeth and triggering a hot and cold dental sensitivity. To prevent this problem, it is recommended to dilute the vinegar with water or add a sodium bicarbonate tip, so its acidity is lower and the side effects limited. You learn about the benefits and how to use the apple cider vinegar, also you learn about the side effects. Are you using apple cider vinegar? I would like to hear your thoughts, leave in the comments section below. Hi there. 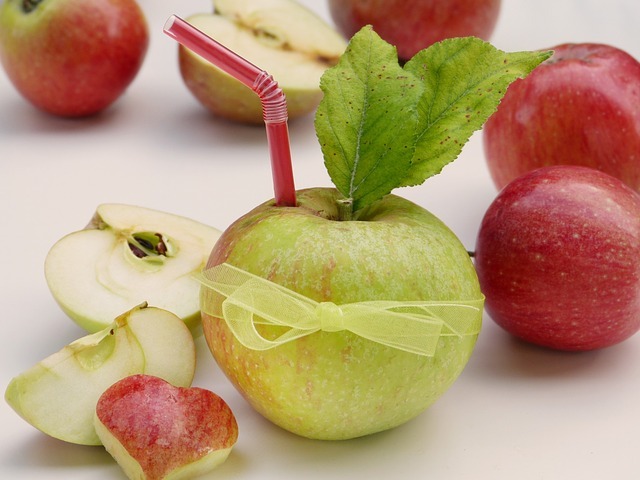 I am looking for a good natural weight loss option and i didnt know the benefits of apple sider for weight loss. But can you add anything to it to make it taste better? that is my only problem with it is that I don’t really like the taste of it. I am going to get some and give it try .. do you suggest any type of quality or is it jsut best to get the more expensive one? Maybe that is why I dont like the taste because I buy cheap cider. Thank you for your comment. I know that it doesn’t taste good; for example, you can add 2 tablespoons of apple vinegar in 1 cup (240 ml) with fresh grapefruit juice. It will be more comfortable to drink it. Or you can add it to your salads. Another solution is to mix 2 teaspoons of apple vinegar with 1 teaspoon of honey; add this mix in a glass of water and drink it. I personally useApple Cider Vinegar from Bragg. Of course, the quality matters and the price is accordingly.